When you Google a specific keyword, do you ever click websites ranked on the third page of Google search results? I’ll bet you don’t. In fact, none of us bother looking beyond the first few results on the first page, let alone the second or third. Top of first page on Google is what we are looking at. So, how would a new startup reach their target customers if they can’t make them visible in the first place? Well, it’s tough. But it was tougher a few years back. Back then, companies used search engine optimization to climb the ladder, and only a handful of them succeeded in reaching their goal – a precious position at the top of Google search engine result page. Things have changed quite drastically over the past few years. Search engine optimization alone won’t guarantee you a place on the first page of Google ranking. Rather, Google uses several other variables while determining your position on SERP (Search Engine Results Page). Does that mean search engine optimization is dead? Not exactly, but there are several other factors to consider. Google now keeps track of your previous search histories, and will only show those results that match your search habits. Suppose, you live in California, and you Googled “food.” Unlike in the past, Google will now only shows you businesses that are close to your location. Likewise, someone from Washington is likely to see results comprised of Washington based businesses. If you are surfing using a mobile device, you are most likely to see those websites that are heavily optimized for smartphones and tablets. Likewise, while surfing from your desktop computer, Google search will show you websites that are optimized for desktops and laptops. In the good old days, you had only one option – search. Now, you can search for images, videos, and news separately, each with varying search results. Previously, you had to optimize your web pages for only one type of search, but now you have to optimize your pages for three or four different types of search. See, things have gotten a bit more complicated! Well, by now you might be feeling a bit depressed, and possibly wondering what to do in order to address those changes in policy. Bear in mind that Google has changed their policies for the better. Now, the quality of your content matters the most, unlike previously when you could easily manipulate the search engine results. If your content is great, you will get organic clicks from potential customers – it’s that simple. But still, there are few methods that you can implement to improve your search engine rankings and page optimization. First and foremost, concentrate on the content and services on your website. Go for an attractive design and make sure your potential customers don’t face difficulties in navigating your site. If you can’t decide on the content and layout of your site, seek professional advice. More people are using mobile devices for searching the web, and uses of traditional desktops and laptops are decreasing with each passing day. If you want your site to rank at the, optimize it for mobile devices since most of your traffic will come from that source. Today’s Web users prefer websites that load faster and are user-friendly. Providing a seamless user experience is be the key to website visitor engagement. This is where SEO comes in and makes the difference. Following SEO best practices will ensure your users find and absorb high-quality contents on your site faster than ever. 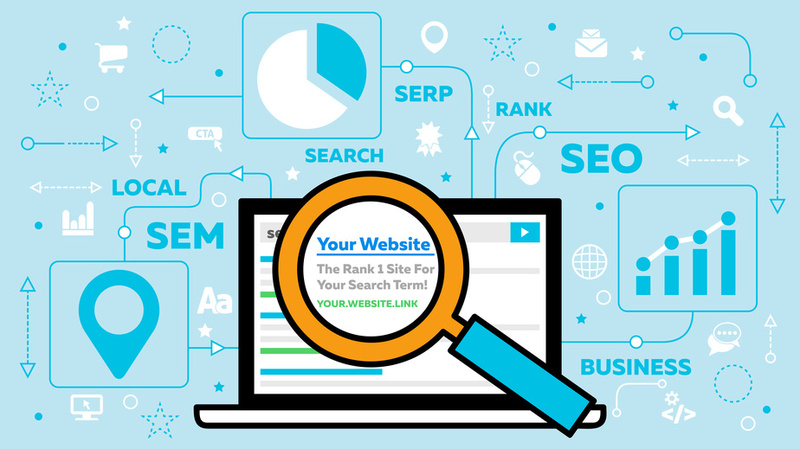 Keywords are important for your website ranking – If your goal is to be found top of first page on Google, there’s no doubt about the importance of correct keyword usage. For the best result, you should target specific keywords and base your content around those keywords. But be sure not to stuff your content with too many keywords. Keyword stuffing used to yield positive results, but now Google would most likely consider that as a negative aspect of your site. According to Google, inbound links are crucial for your search engine ranking. But for other sites to link to your website, you will have to come up with attractive content. If you’re committed to providing excellent information, people will naturally share your content and will link to your site. At the same time, you should link your content to other authoritative blogs on the web. This is referred to as link building, and Google will take that into account. It will also help with getting to the top of first page on Google. When a specific keyword is searched, Google will present a short description of your website along with the search result, which is known as the meta description. This is the only information available to your customer at that stage regarding your website and its contents. Just because someone searched and found you top of first page on Google, it’s extremely important that you come up with an attractive meta description. Some people say that SEO is dead. Wrong! It is more useful now than ever before. You just have to know how to utilize it. Combine this with attractive content, and I am pretty confident that soon you will see gradual improvements in your page ranking.